More scientifically accurate maps of Jerusalem began to be produced from the sixteenth century onward, following on from the developments made by Reuwich and Breydenbach and other pilgrimage maps. As cartographic skills developed, so too did the veracity with which the Holy City could be mapped; in place of artistic panoramas came bird's-eye views of the city. Interestingly, however, there was less appetite to create topographically exact records for Jerusalem than there was for other, religiously less significant cities. It was not until the nineteenth century that the development away from imaginative, biblically-informed maps came to full fruition. 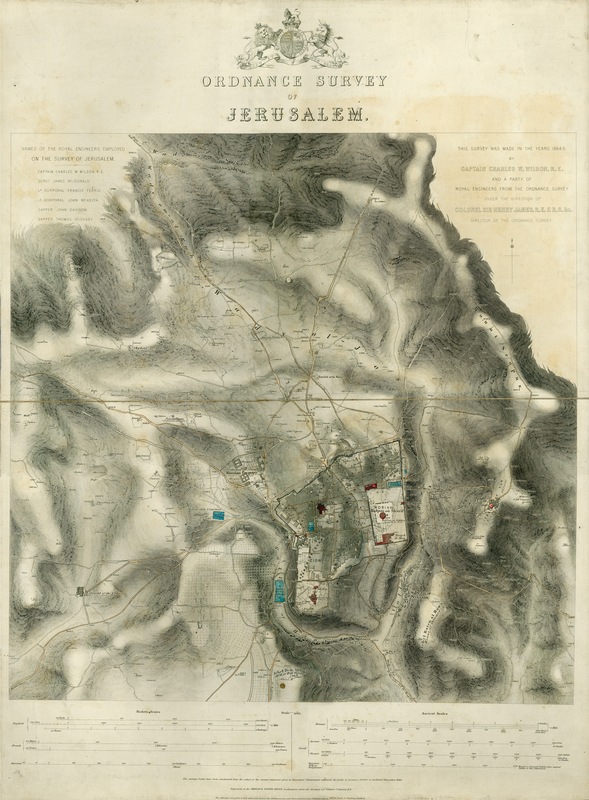 The first modern, scientifically accurate map of the holy city, the British Ordnance Survey Map of Jerusalem, was undertaken by Major General Charles Wilson, a member of the British Royal Engineers, between 1864-1865. He was commissioned by George Grove—one of the founders of the Palestine Exploration Fund, the moving force behind Crystal Palace, a biblical Scholar and famous musicologist—with backing from Baroness Angela Burdett Coutts (of Coutts Bank fame) and approval from the British War Office, on the grounds that the map would allow for the improvement of Jerusalem’s polluted water supply. The aim of improving the water supply by mapping the city was, of course, not disinterested: greater intelligence of the area and the improvement of its infrastructure meant an increased chance of incorporating the Holy Land into the British Empire. 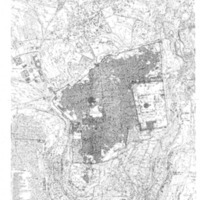 In addition to two scaled maps of Jerusalem, Wilson published an accompanying report that included a significant review of the water cisterns below Temple Mount. 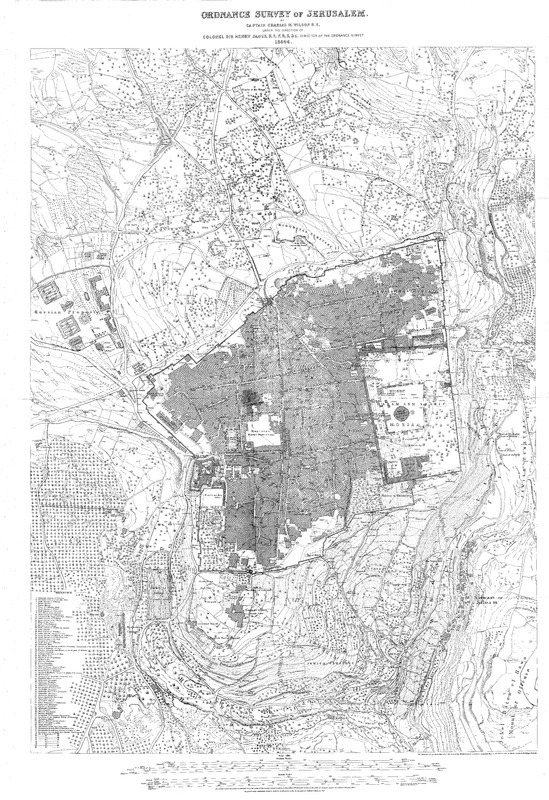 This was an early foray into the archaeology of the holy city which, although conducted on the basis of civic development, ultimately functioned as a catalyst for further British exploration of Jerusalem’s architectural remains, particularly the destroyed Jerusalem Temple, presumed to be hidden below the Dome of the Rock. 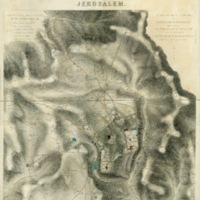 The production of modern scientific maps thus remained underpinned by military and religious interests, much in keeping with earlier endeavours to map Jerusalem.